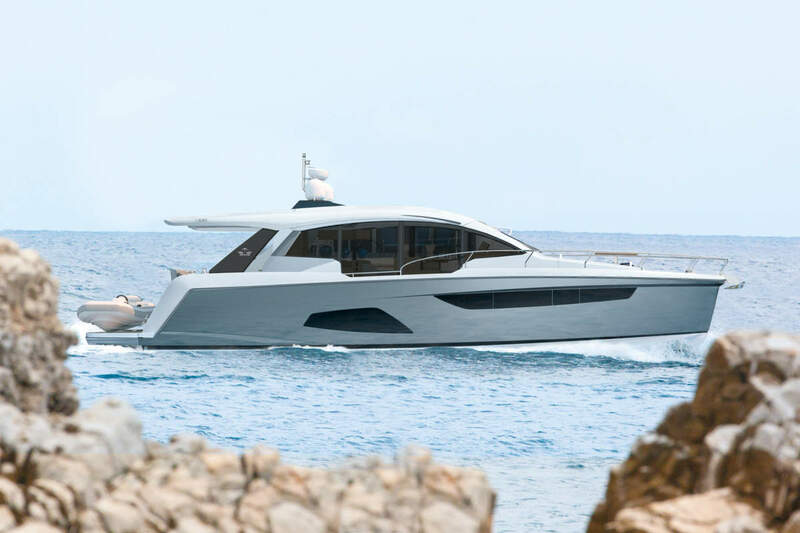 From the beaches of Miami to the Italian Rivera, Azimut will turn the heads of those who clamp eyes on their sleek modern 116 superyacht. 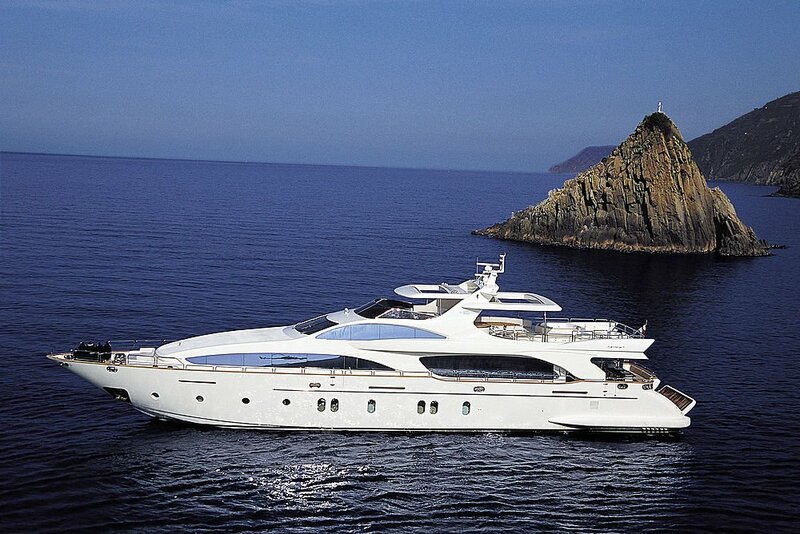 The Italians have a real passion when it comes to designing machines of luxury and the Azimut 116 certainly fits neatly into the bracket of desirability. 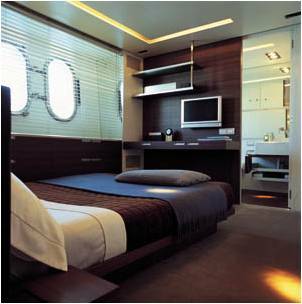 The Azimut 116 sits beautifully with the light reflecting between the water and her unique reflective windows, providing privacy to her occupants and a design spectacle to those who gaze upon her. 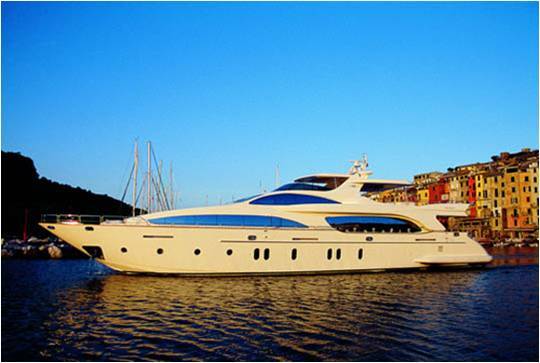 She comes with a convertible top that provides complete coverage of the fly deck taking in to account not to spoil your experience within the jacuzzi and the entertaining space aft. 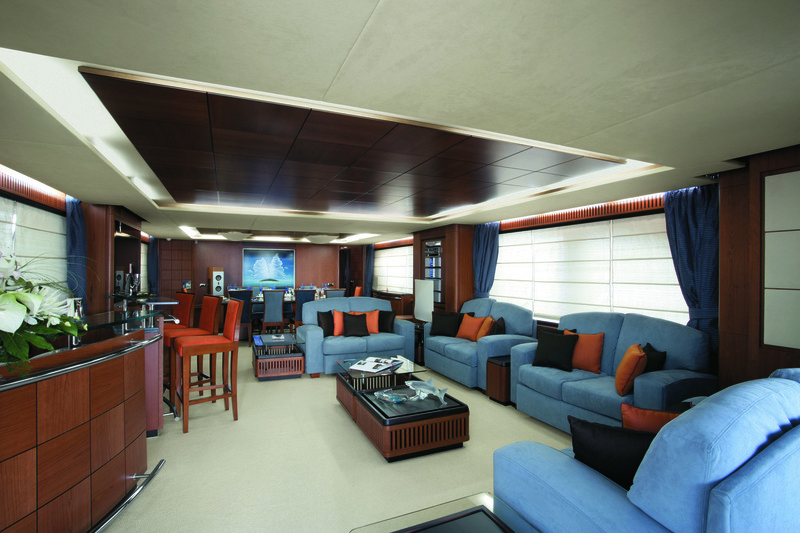 The classic Italian verve for creating beautiful places to be is clearly illustrated in the main lounge area, consisting of elegant wood floors and leather couches. 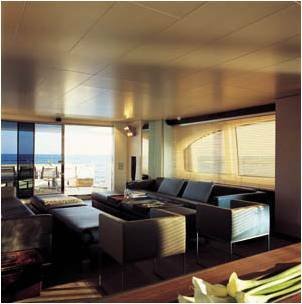 An array of electronic systems and interior materials are available to customers wishing to individualise their yacht. 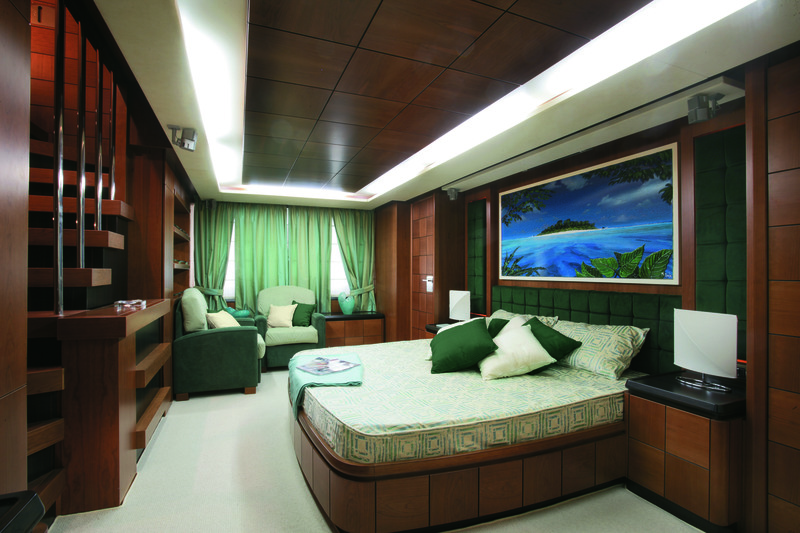 This example of one of the en-suite guest rooms provides an insight to the clean cut lines on board the Azimut, warm and inviting with a functional feel that would have you believing you’re within the walls of a 5 star hotel room but for the port holes on the wall rather than a conventional window. 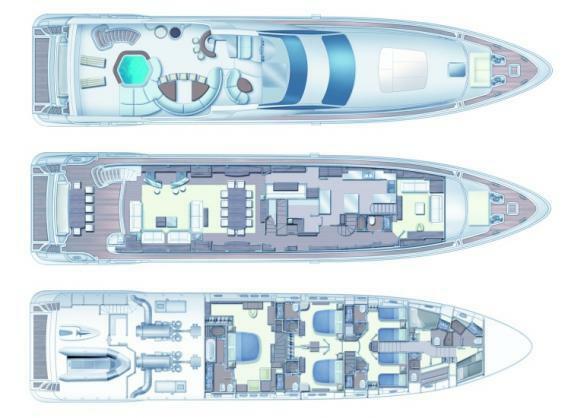 The cross sections show a well engineered and thought out 3 deck design, customers have the choice of 3 layouts and countless ways in which to style the inside to individuals tastes. 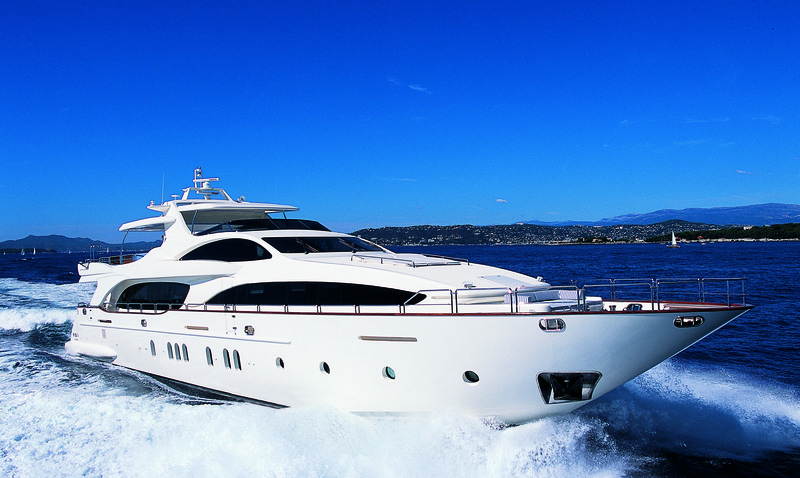 The Azimut 116 is powered by twin MTU V16 2000 M93’s producing 2434 mHP, allowing her to cruise comfortably at 24 knots (half load) and go onto a top speed of 28 knots (half load). 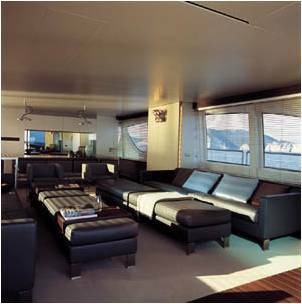 Impressive for 35.46 meter yacht with 7.40 meter beam and at full load she has a displacement of 143 tons. 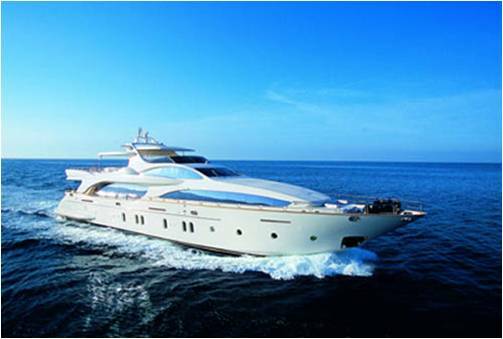 The Azimut 116 is a shining example of the Italian boat designers vision of luxury on the water, she is a serious contender in the lower end super yacht market amongst some strong competition. 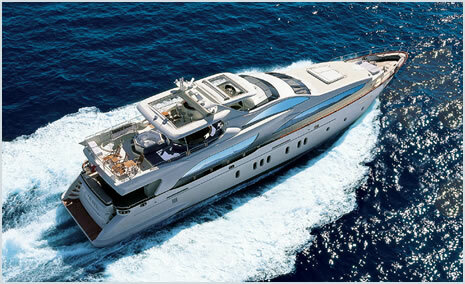 I did see one on these beautiful yachts in Spain. She was hosting an entertainment day or something but stil fantastic yacht and the pictures you have here are good but dont do her justice in the flesh.